Hines was 75 years old. 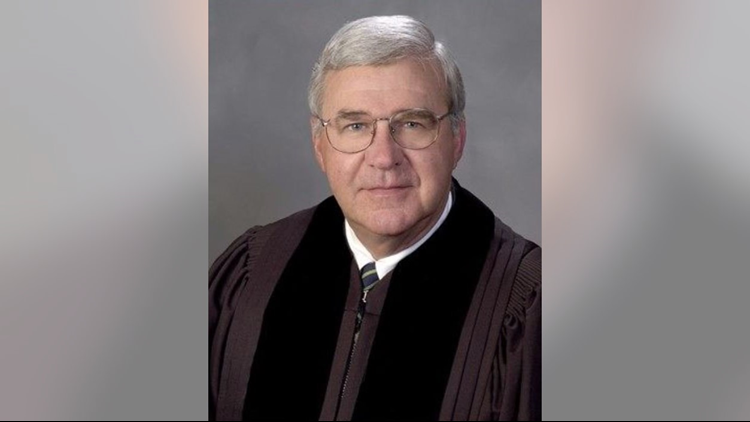 ATLANTA — A former Georgia Supreme Court Justice has died from a car crash, Georgia officials say. "I cannot express the immense grief I feel to hear that Justice Harris Hines had died in a car crash," Morgan said in a statement. "I am blessed I was able to practice law before him, and to call him my mentor and friend. God bless Helen and his family and give them peace." The Georgia Supreme Court said the crash happened on I-85 North near downtown Atlanta Sunday. Governor Nathan Deal echoed Morgan's sentiments, tweeting about Hines' passing. "I'm saddened to hear of the passing of former Georgia Supreme Court Chief Justice Harris Hines. A brilliant legal mind and devoted public servant, Justice Hines’ more than four decades on the bench helped to make Georgia a better state," Deal tweeted Sunday. I'm saddened to hear of the passing of former Georgia Supreme Court Chief Justice Harris Hines. A brilliant legal mind and devoted public servant, Justice Hines’ more than four decades on the bench helped to make Georgia a better state. "(The First Lady) and I are praying for his family and thinking of his dear wife, Helen, as she recovers. May God bless them with love and great strength during this most difficult time," he added. On Monday, the Georgia Supreme Court said Hines' wife, Helen, was with him when the crash happened and survived. The following statement was issued. “We are all shocked and devastated,” Chief Melton said in a special statement. “Former Chief Justice P. Harris Hines was a giant of a man. Because of the love he so freely extended to others, he was loved and cherished by every member of this Court, by our staff, and by just about every person who ever met him. For me personally, he was a mentor and one of my dearest friends. My heart is broken. Our thoughts and prayers are with his beloved wife, Helen, their son and daughter, and their families.